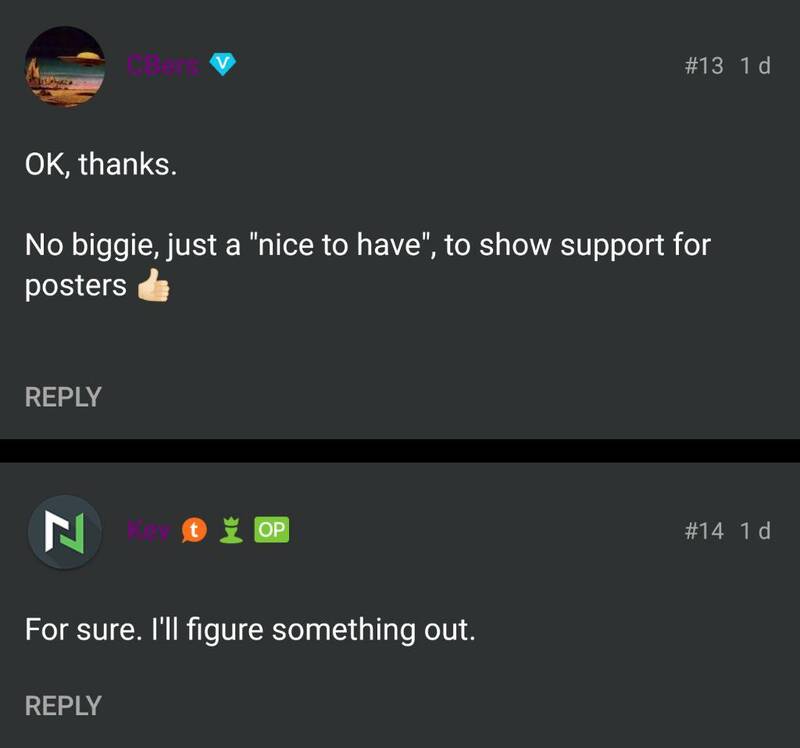 Since the forums update, I can't see how to LIKE a post when using Tapatalk. Has that option been removed? Yeah, that plugin wasn't compatible with the latest version of the forum software. I'll look around to see if there is an alternative. For sure. I'll figure something out. Awesome new look which extended to tapatalk too!! Love it. Doesn't look like that for me... Hmm. Haha, yeah, Tapatalk updates are super hit or miss.